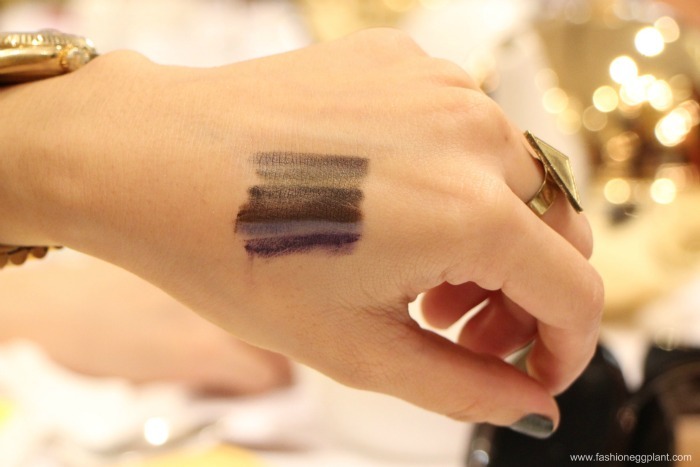 I spent the entire afternoon yesterday in TWG having tea and crumpets while reviewing the latest products for this season from Laura Mercier. I can't think of a more perfect afternoon. I felt like a kid who got the cake and was able to eat it too! Quite literally in fact. Since Laura Mercier has quite a bit of new offerings this Fall/Winter, I decided to divide it up into multiple posts. First up is their new longwear creme eye pencil. Laura Mercier's Longwear Creme Eye Pencil is ultra-smooth and creamy making it a cinch to apply. It glides on smoothly and evenly without much effort. The new colors are rich and vibrant while at the same time water-proof, smudge-proof, transfer-proof and most imprortantly, tear-resistant. (I always get teary-eyed when I apply eyeliner.) They last up to 12 hours and are suitable for all skin types including contact lense wearers. Aside from the obvious black (noir) and brown (espresso), 2 of my other favorites from the collection would have to be slate (gray) and cobalt (deep blue). Both have super dramatic colors that are fun to play around with and match with different eyeshadows for a more modern, experimental look yet not too out of this world, still very wearable. I decided to test their sumdge-proof/longwearing ability by rubbing them down constantly first with my fingers, then with wet ones and lastly with water and a napkin. After numerous times, the colors still hardly budged. These new longwear cream eye pencils from Laura Mercier are perfect for those of you with oily lids who have a difficult time keeping product on. You will get no "fall-out" or raccon eyes from these. Try it for yourself at all Laura Mercier counters in Rustan's Department Stores. 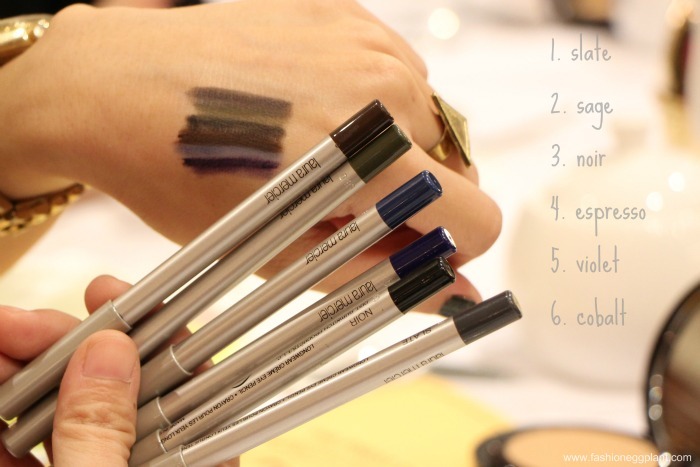 Laura Mercier's Longwear Creme Eye Pencil's retail for P995 and come with a special sharpener with every purchase.